Due to the many nutrients and bioactive compounds found in asparagus, researchers are investigating the possible applications of the plant. While the majority of research has been in vitro, using extracts from the asparagus stalk, there are several promising preliminary animal studies using whole asparagus as the intervention. Finally, asparagus extract helped maintain and enhance immune function for immunocompromised individuals.6 Radiation and chemotherapy patients took asparagus extract in conjunction with their existing therapy regimens. Individuals who supplemented with asparagus extract had higher immune responses and increased rates of survival and quality of life compared to the control group. Cancer patients who supplemented with asparagus extract extended their lives at least two months during stage 3 and at least six months during stage 2. Further research is necessary to evaluate the effectiveness of using asparagus extract compared to the effectiveness of using the whole plant as complementary cancer treatments.In addition to the possibility of alleviating the symptoms associated with many chronic diseases, asparagus extract has been evaluated in vitro for its potential to alleviate alcohol-induced hangovers.13 Using all parts of the asparagus plant, a preparation was made to induce cellular metabolism of ethanol. While the constituents of the asparagus stalk alone were effective in increasing ethanol metabolism within the cells, the effect increased when the constituents from the asparagus leaves were added, demonstrating whole-plant synergy. 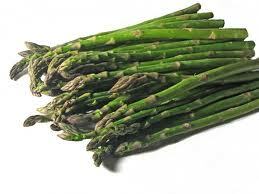 This research highlights the potential hepatoprotective benefits of the asparagus leaf, which is often discarded. Few adverse reactions have been reported after asparagus consumption. Because asparagus contains small amounts of oxalates, individuals with a history of oxalate-containing kidney stones should avoid consuming large amounts of asparagus.2 Additionally, asparagus contains purines that can lead to increased discomfort in individuals with gout. Asparagus also induces a unique side effect: a distinctive smell in the consumer’s urine, first recorded in the 18th century by John Arbuthnot, physician to Britain’s Queen Anne.11Interestingly, some individuals lack either the ability to produce the smell or detect the smell, likely due to a single nucleotide polymorphism.17 For the majority of people, however, asparagus is a safe and delicious addition to a healthy diet. Chronic alcohol use causes oxidative stress on the liver as well as unpleasant physical effects associated with a hangover. "Cellular toxicities were significantly alleviated in response to treatment with the extracts of asparagus leaves and shoots," says Kim. "These results provide evidence of how the biological functions of asparagus can help alleviate alcohol hangover and protect liver cells."